Whilst documents and other written material are obvious resources that help shape our view of the past, maps too can say much about a nation's history. 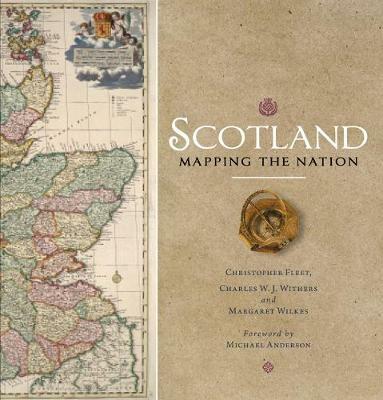 This is the first book to take maps seriously as a form of history, from the earliest representations of Scotland by Ptolemy in the second century AD to the most recent form of Scotland's mapping and geographical representation in GIS, satellite imagery and SATNAV. Compiled by three experts who have spent their lives working with maps, Scotland: Mapping the Nation offers a fascinating and thought-provoking perspective on Scottish history which is beautifully illustrated with complete facsimiles and details of hundreds of the most significant manuscript and printed maps from the National Library of Scotland and other institutions, including those by Timothy Pont, Joan Blaeu and William Roy, amongst many others.